Written By Ayodele Akintimehin and Ufuoma Emerhor. 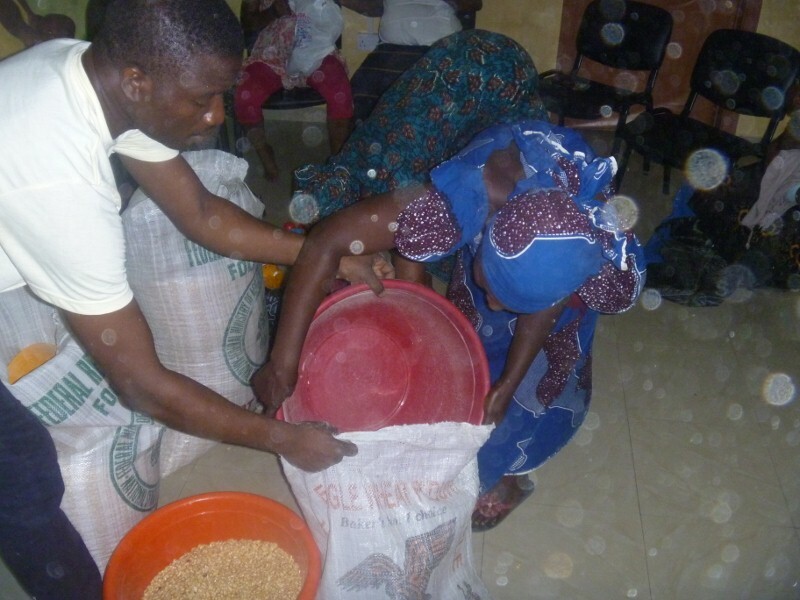 On the 9th of March, 2013, Fair Life Africa Foundation took the initiative to distribute produce to the market women in the community. It was also an opportunity to inform them of the issues that lead to children running from home, and how they can prevent it by being responsible guardians. 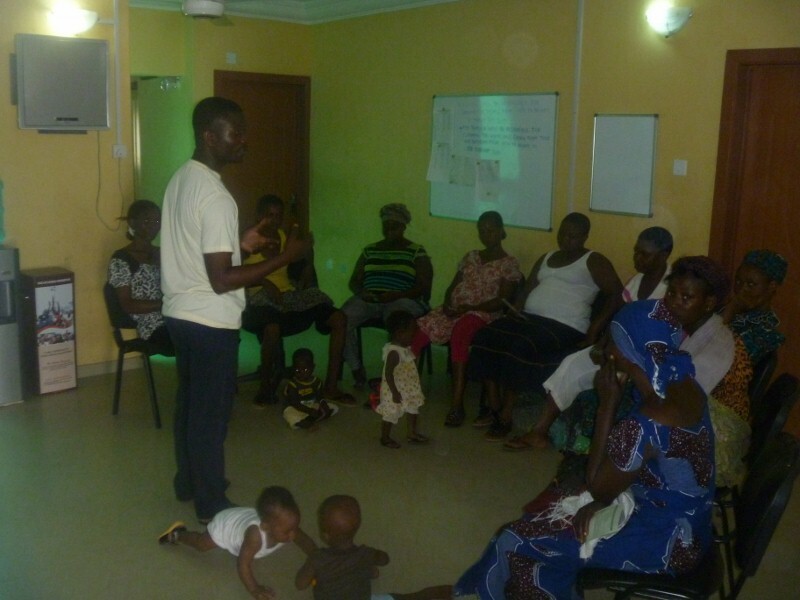 Nine (9) women attended, and some arrived with their babies to receive the provision and counsel. The women were taught how they could empower themselves through the use of maize and how to increase their source of income with their day to day activities. Mr Ayodele explained the role of Fair Life Africa Foundation and the importance of parental care for their children to avoid children running to the street. The common reasons were highlighted, which are lack of parental care, child abuse, child labour and sexual exploitation etc. Mr Ayodele explained what maize is and what it could be used for. He taught them that maize is a cereal/grain that can be cooked, roasted, fried, grounded, pounded or crushed to prepare various edible foods like pap, tuwo, gwate, donkunu and host of others. All these food types are readily available in various parts of Nigeria among different ethnic groups, including Yorubas, Hausas, Ibos etc. Preparations and uses of the maize grains varied from group to group, though there are some similarities. One of the participants, Mrs Rakia Nuru, also shared her knowledge and taught the other women how to use the maize for tuwo and pap. She expressed her gratitude and explained how the maize will help her family. She said that a bowl of maize cost N400 and N150 to grind, so our initiative was very beneficial to her business. Finally, other women spoke about their plans to use the maize for the benefit of their families. A woman collects her portion of maize. 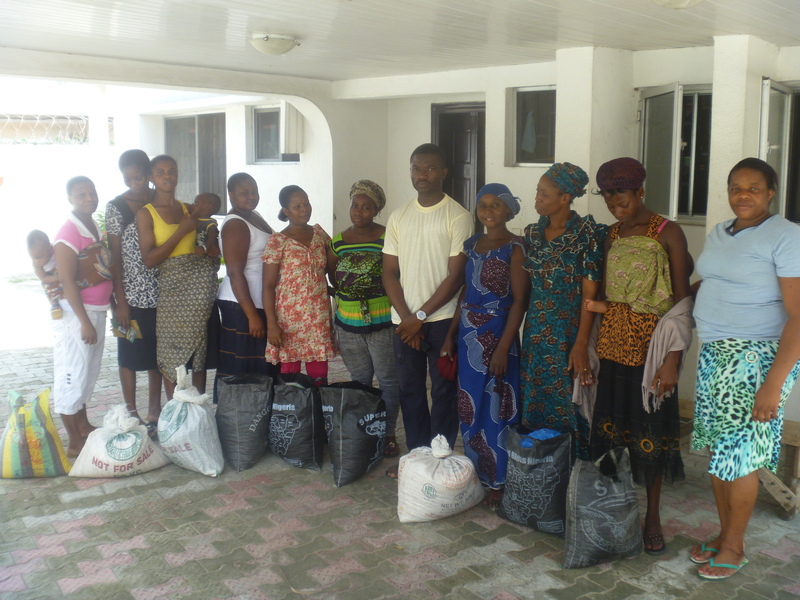 Four 50kg bags maize, which were donated by the Lagos State Agricultural Development Authourity, were distributed among all the women. They gathered around for a group picture before going home. We plan to have more such sessions with the Gbara Community. Next Post March’s Newsletter is Out!! !